SSE holds weekly volunteer meetings for students who are interested in helping plan and execute special events at UNM. Meetings for Fall 2017 will be announced soon and take place in SUB Room 1064. SSE holds weekly staff meetings in SUB Room 1064 on TBA. This meeting is for co-sponsorship presentations and planning. Click Here to download the form for Co-Sponsorship (Word Document) You must also present your request at a staff meeting. ASUNM Student Special Events (SSE) is the branch of student government (ASUNM) that provides the University of New Mexico with multicultural, diverse events that include concerts, speakers, a spring festival (Fiestas), and community outreach activities. For an idea of what types of events SSE produces, please go to our events section. 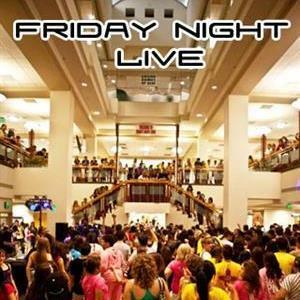 Join over 2,500 fellow students in the SUB for the 11th annual Friday Night Live! The entire building will be full of great events. This year there will be a Photo Booth, Casino Games, Henna Tattoos, Karaoke, Student Organizations, Video Games on Projection Screens, Lobo Sports Teams, a Dance, and Free Food! Freshmen! Come print out your class schedule and we'll help you find where your classes are on a campus tour. Look for us outside on the Mall just north of the Student Union Building (north of Popejoy Hall) after the Freshman Convocation for a personalized campus tour! Sponsored by the Student Activities Center, Dean of Students Office and Residence Life. 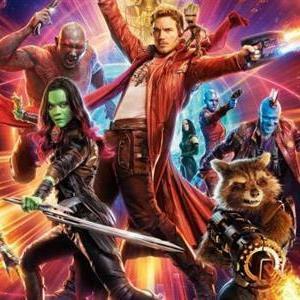 Never been to a drive-in movie? Here's your chance to get as close to that experience as possible! Bring a blanket, friends and we'll have the popcorn! Sponsored by ASUNM SSE & SWFC, UNM Greek Life, Student Activities Center, and the VP of Student Affairs. Start the first day of school off right by stopping by the Duck Pond to get great information from campus departments, programs and colleges from 10am to 2pm and live entertainment from Noon to 1pm. Enjoy booths from the Safety, Health, Wellness and Recreation departments will be at the Duck Pond. ROTC booths will be located on the SUB Mall. 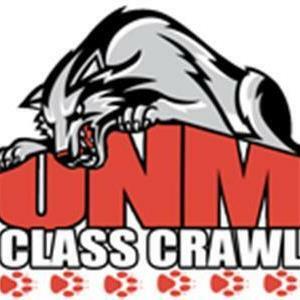 Great Live Music from Noon - 1 p.m.
Information about all of the Cultural, LGBTQ and Women's programs and departments at UNM. Cultural entertainment will run throughout the day by the Duck Pond. Look for UNM museums, student art displays and performing arts information as well. 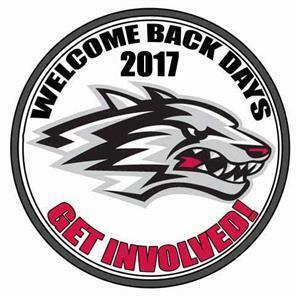 North campus will celebrate its Welcome Back Day in the Basic Medical Sciences Building plaza area in the Health Sciences Complex from 11:30 - 1:00 with great information booths! Meet student leaders from around campus and learn how to get involved with the over 450 student organizations on campus. Listen to great live music at the Duck Pond from 12 - 1 p.m. Looking for a campus student job? Interested in helping out in the community? Stop by! University departments looking to hire students will be set up at an On-Campus Jobs Fair north of Ortega hall from 10 am - 2 pm. They will have information about their workstudy and student employment positions. Community organizations will be recruiting volunteers for their worth while events and causes. Enjoy more live music from Noon - 1 pm. Red Rally was rated #55 in Sports Illustrated's "102 Things You Have To Do Before You Graduate" article. 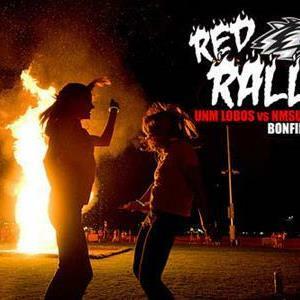 Join over 3,000 students burning a 25' tall Aggie at the stake to get pumped up for the game vs NMSU! The football team, spirit squads and Spirit Marching Band will be on hand for the pep rally! Help ASUNM Lobo Spirit build the Aggie by calling 277-0372. Lobo's Got Talent - Talent Show! 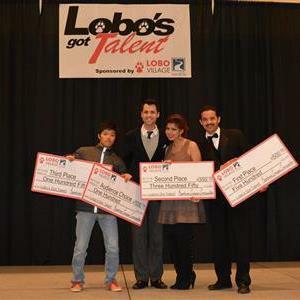 The 9th Annual Lobo's Got Talent Show showcases the best UNM has to offer from our talented students! Prizes are given for 1st ($500), 2nd ($350), 3rd ($150) and Audience Choice ($100) - Sponsored by Lobo Village and Casas del Rio. Stop by to support our talented UNM students! For more information, contact the Student Activities Center. Join the Student Activities Center for the 3rd annual UNM Harry Potter Day in the SUB Atrium from 12:00 pm to 2:00 pm on Tuesday, November 21st. This year's Harry Potter Day will include a sorting hat ceremony, Harry Potter trivia with Geeks Who Drink, Butter Beer at Hogsmead, Bertie Botts, Cookies and more magic! 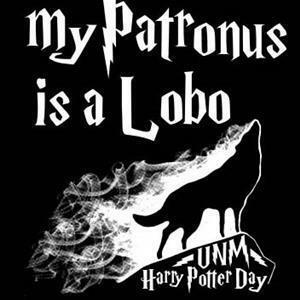 Stop by and enjoy the Wonderful Wizarding World of UNM! 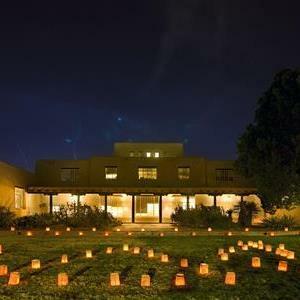 Hanging of the Greens is UNM's oldest student tradition and is one of the largest luminaria displays in the area consisting of 14,000 luminarias. The event is planned and run by Mortar Board, UNM's premier senior honor society. The event will begin at 5:45 p.m. at the UNM Bookstore. From there, the group will carol across campus to University House to present the President with a wreath. The event will conclude with a reception at Hodgin Hall from 6:30–8:00 p.m. The community is invited and attendees are asked to bring an unwrapped children's book to place under the tree at Hodgin Hall. Books will be donated to UNM Children's Hospital.